← Mercy Delta: What Katie did next. and next. and next. Today is Friday 9th November. In 7 weeks time, Christmas Day, Boxing Day and the season of over-indulging will be all over. But today I’m not so concerned about the vast amounts of turkey, cranberry sauce and Christmas pudding. What I want to know is how I can easily and effortlessly lose my excess half stone over the next 7 weeks. Utterly self-inflicted from numerous restaurant reviews, the pounds have crept on and joined together to form One. Whole. Half. Stone. Oh and one small issue. I don’t want to diet. Conveniently enough there’s a woman I keep reading out in the press. Her name is Vicki Edgson and, from what I keep reading, she’s the one to help me. Not only is she probably the UK’s leading weight loss expert, she has extensive knowledge of hormones (or lack of them) and how they can affect your diet. On top of all this, she is a massive foodie. So I am pretty sure she won’t make me live on dry crackers. 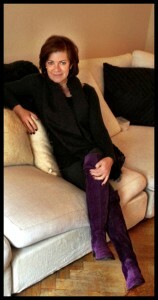 I dropped in to meet Vicki at her home near Paddington. She is definite and speaks with conviction. And that’s what I need. I want someone to tell me what to do, someone I can’t argue with. A quick brief allows Vicki to understand that I don’t drink too much, I exercise well and I am pretty knowledgeable in terms of good and bad foods. Focusing on my lack of ovaries and my slightly frenetic way of working in every hour available, I sense Vicki is drilling down into potential issues. She hones in on how and when I eat. Do I always eat sitting down? No. Do I chew properly? Probably not. Am I eating more than recommended portion sizes? Definitely. It turns out that my poor body can’t break down the food nor understand when I am full due to my eating-on-the-constant-run habits. We discussed ways I could change the manner in which I bolt food and she suggested menu ideas as well as practical advice to avoid over-snacking mid-afternoon. One idea is for me to consume only liquids for a day each week. Vicki calls these her Liquid Days and says that they give your digestive system a well-earned break. With fasting and the effects of fasting on every dieter’s lips at the moment, I just know I wouldn’t be able to manage that. But the Liquid Days appeal. 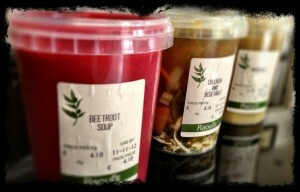 The plan is to consume a couple of homemade vegetable juices, some soups and to drink endless herbal tea. I’ve scheduled my first of these for Sunday –a day when I’m not reviewing a recently opened restaurant nor running around frantically with notebook and Dictaphone in hand. 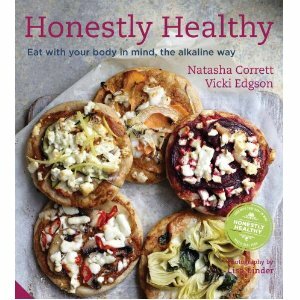 Vowing to buy Vicki’s book Honestly Healthy and to turn these scribble notes into an effective seven week challenge, I walked away feeling ready, excited and determined. You (my readers) are my witnesses, I shall shed these pounds before the fat man in the red suit comes.